Boston, MA (January 9th, 2017) – Whale Imaging, Inc., leading designer and manufacturer of the innovative G-Arm® and Sigma Series ultrasound medical imaging systems, is proud to announce FDA 510(k) clearance of the G-Arm B6 Duo. The B6 Duo is the next generation of the G-Arm with major improvements including axial tilt and greater table access. The Whale Imaging R&D team’s mission was to help the user improve accuracy while reducing time, infection and radiation. Engineers at Whale made the B6 Duo compatible with all surgical tables, and added many new features including axial tilt. Whale’s unique ability to fire two x-ray beams asynchronously provides the customer with bi-lateral video and images, giving the user a more comprehensive picture than a traditional C-arm. G-Arm utilizes this X-Beam technology, as well as iC-Clear algorithms to provide the best image possible, using the smallest dose of radiation. The G-Arm B6 Duo is now available for sale from Whale Imaging, and is FDA 501(k) approved. Interested parties are asked to send an inquiry to sales@whaleimaging.org. 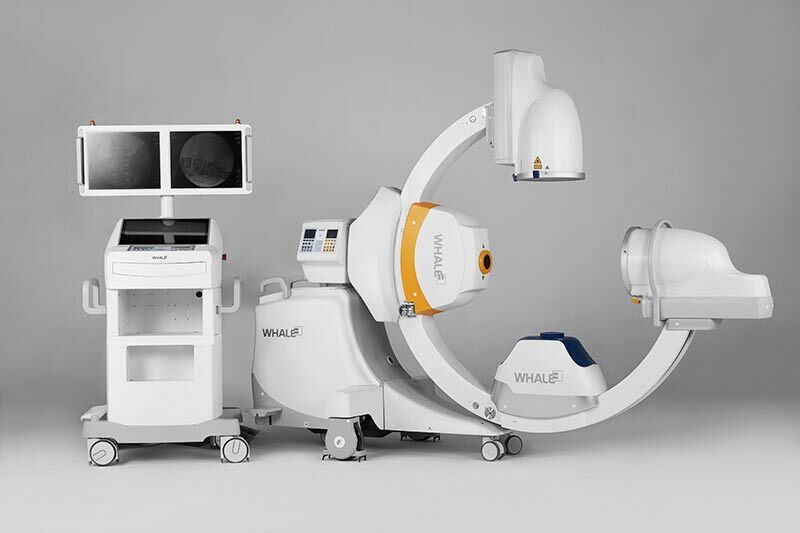 Whale Imaging is a rapidly growing high-technology company engaged in the development, manufacturing, marketing, and service of surgical imaging systems to markets around the globe. Led by an experienced international management and engineering team, Whale’s global marketing and R&D facilities are headquartered in the Greater Boston Area, USA. In 2014, Orthopedics This Week presented Whale Imaging with the prestigious Best New Spine Technology 2014 award for their revolutionary G-Arm system. In addition to G-Arm® bi-plane surgical imaging technology, Whale also produces the new SigmaTM Series portable ultrasound systems. Whale’s innovative IP, coupled with low-cost manufacturing capabilities, enable the company to create disruptive new technologies at competitive prices. Whale continually innovates its strong product offering with a focus on pioneering attractive user benefits for a range of medical applications. For more information about Whale Imaging, visit www.whaleimaging.com.